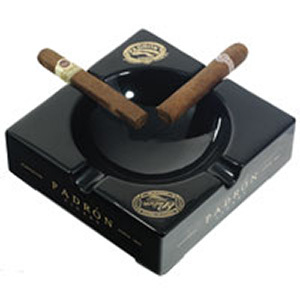 Padron Ceramic 4 Cigar Ashtray is a Black High-Gloss Square Ceramic ashtray that has the Padron logo in gold on two sides of the top. The Padron Name is on all four sides. A solid bottom and rubberized feet on all corners completes this elegant ashtray.